Larissa, a singer with jazz, swing and soul backgrounds will thrill you with her sweet and velvety voice. She is also into burlesque, cabaret and anything related to vintage elegance. 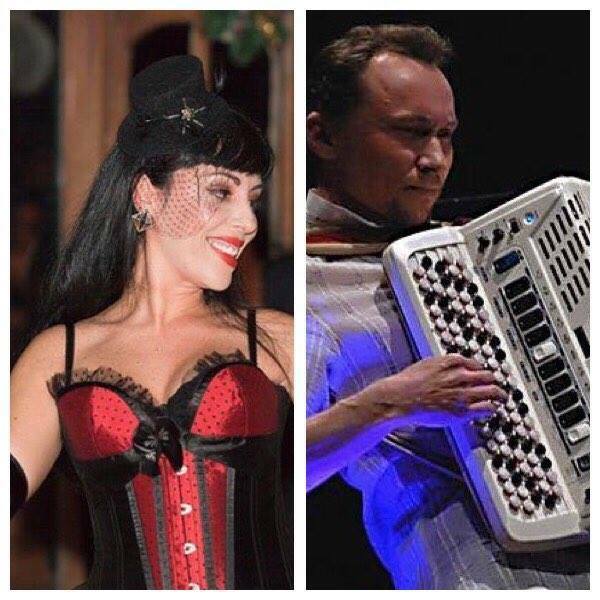 Yuri, a fabulous accordionist , who needs no introduction, comes all the way from Russia and has performed with the island's most favoured musicians. The duo will captivate you with their unique performance!